Ghent is a port city situated in northwest Belgium. This popular university town and cultural hub is home to just under 300,000 people. It is renowned for the well-preserved medieval architecture in its realms. 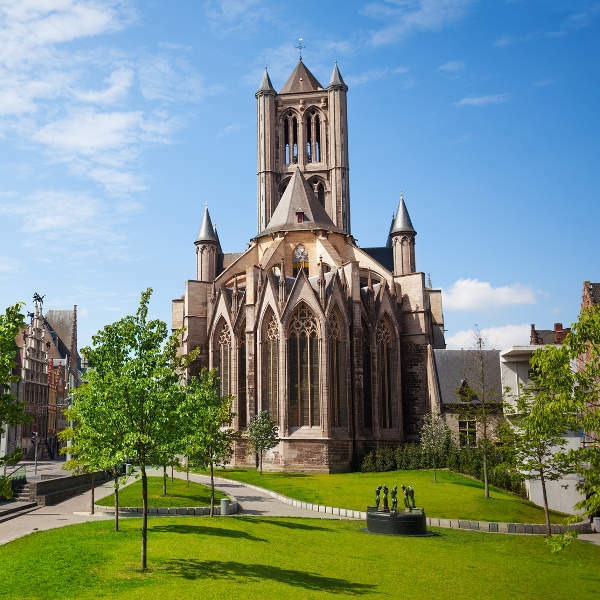 The three most iconic old world attractions include St. Bavo’s Cathedral, the Belfrey bell tower built in the 1300s and Saint Nicholas’ Church. Cheap flights to Ghent are now available for a limited time period, so let this city captivate you with a journey through modern and medieval times. Although Ghent International Airport (GNE) is permanently closed, the Flanders International Airport (KJK) also known as Flanders Airport (QKT) is in the nearby town of Wevelgem. KJK is a just 50 minute drive from the Ghent city centre. 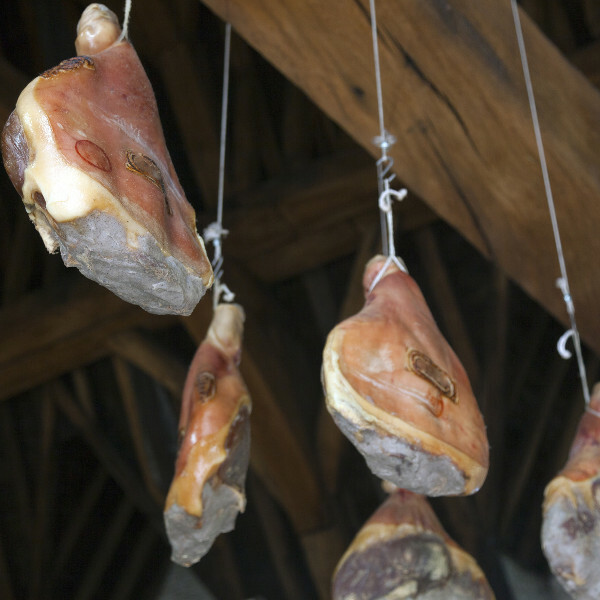 New sensations await discovery at traditional Ghent restaurants and pubs where you can enjoy traditional meats, Stoverij beef stew, uniquely brewed beers or the sweet, soft raspberry-centred delicacies called cuberdons. Explore Ghent’s majestic old world attractions that include the iconic St. Nicholas’ Church, St. Bavo’s Cathedral and the Belfrey bell tower that was built in the 1300s. Take a guided boat trip through the scenic Graslei quay that lines the historic centre of Ghent where the beautiful houses and markets in the old town unveil the history of this unique city. A visit to the exciting and versatile Ghent will be an incredible experience any time of the year. The city experiences a marine west coast climate and has a mild difference between high and low temperatures with moderate amounts of rainfall all year round. The warm summer weeks between May and September is the peak tourist period as the city’s beauty is in bloom and everyone comes out to play. While you are there in the heat of July, the annual Ghent Jazz Festival will treat you to international and local soulful sounds. October brings with it the annual Ghent Film Fest and, with approximately 200 international films available, this festival will be every film buff’s dream event while on holiday! Despite monsoon showers being prevalent in November, sports junkies can join in the rush or just be a spectator at the annual six-day bicycle race based at the Kuipke cycling stadium. With all these events set in this magical, lively city, you cannot go wrong with adding this trip to your to-do list. This medieval port city with a modern urban twist will leave you wanting more by the end of your trip. Ghent, a now popular university town and cultural hub, still has a strong attachment to and sense of pride in its unique history and well-preserved medieval architecture. St. Bavo’s Cathedral, the Belfrey bell tower built in the 1300s and Saint Nicholas’ Church are iconic old world attractions to see. Your trip will not be complete without a stroll through their majestic corridors. 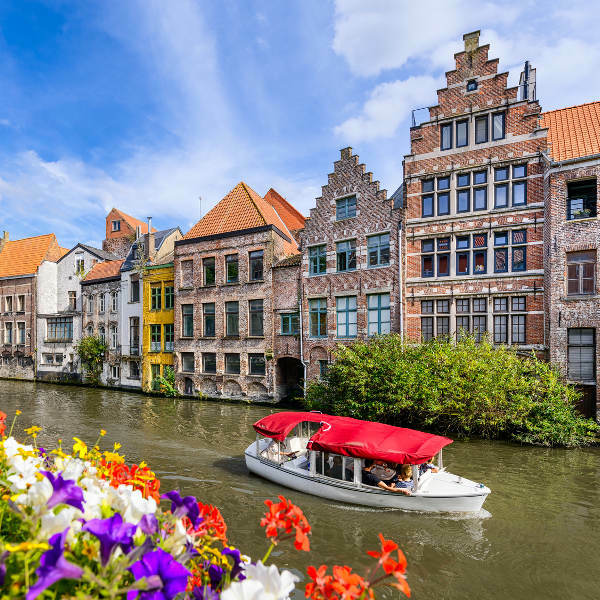 Make time to enjoy an informative, yet relaxing guided boat trip through the Graslei quay that lines the historic centre of Ghent where the houses, markets and castles are styled in medieval architecture. For art lovers, the multitude of museums, including the Museum of Fine Arts and contemporary Stedelijk Museum voor Actuele Kunst with its provocative post WWII exhibitions, are filled with beautiful and intriguing pieces to explore. Guided beer tours to hidden local pubs or night life hot spots are available, and the Gruut Brewery can be visited to see how they use their rare mix of spices instead of the traditional hops to brew their unique blends. Compare several airlines, and book your cheap flights to Ghent online at Travelstart! Make sure your routine vaccines that include the MMR vaccine, DTP, Chickenpox, Polio and yearly flu shots are updated before travel. You are advised to get vaccinated for Hepatitis A, Hepatitis B and Rabies if you plan on being in contact with any wildlife. Belgium is a fairly safe country and has safe food and water standards. You are also advised to practice normal safety measures. These include keeping an eye out for petty crimes such as pick-pocketing, especially in crowded areas. You should also keep expensive belongings and important documentation safe at all times.